Welcome to your August propertybuyer market update. While winter has traditionally been a time of lower demand, the Sydney property market has been scaling new heights. Median house prices have risen 6.7% in 2012-2013 and 2.7% over the last three months to the end of June 30 (according to APM). Nationally, median capital city house prices have risen 5.4% over the financial year and 2.8% in the last quarter. We’ve seen a gradual rise in confidence as reflected in the auction clearance rates which have been trending over 75% the last quarter. Sydney has seen clearance rates of over 80% the last 4 weekends. There has been a distinct lack of property listings on the market which is also creating strong competition amongst buyers – and whines of protest from buyers saying there is not enough to choose from! This is because of the classic “Mexican stand- off” between vendors and buyers – buyers can’t find the right property to buy as there is a lack of listings, while vendors are not selling because they don’t want to risk selling then not having a place to purchase. However the situation is likely to change as Spring arrives. We are likely to see greater volumes of properties coming in the market and a wider variety to choose from. The latest interest rate cut, taking the cash rate to 2.5%, puts interest rates at the lowest level since 1959! This will stimulate stronger demand from investors. However, one interesting economic phenomenon I have observed is that the impact of each interest rate to stimulate economic growth is having less effect than pre-GFC times. Since the GFC, households have been paying down more debt and saving more, so the interest savings are being absorbed rather than stimulating consumer spending. 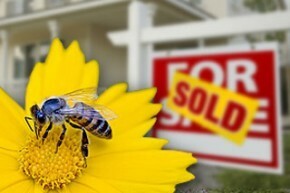 Spring is likely to see a solid increase in the number of transactions as there is pent up demand from both home buyers and upgraders. The Federal election to be held on 7th Sept has probably stalled some decision making and made business confidence uncertain. Unemployment is predicted to rise to around 6.25% by the end of the year, but this figure is still well with reasonable limits (5% is considered full employment). Inflation is also well within the Reserve Bank target levels. Some buyers may look on the internet and only see 4 properties listed for sale and think that’s all there is. But what the average buyer does not realise is that there is a whole other world of hidden listings out there that Buyers’ Agents can uncover. The advantage of using a Buyers’ Agent is uncovering off-market opportunities or pre-listed stock just about to come on the market. We give our clients a leg up to access more properties and before public release. Overall we are likely to see a gradual increase in house prices – not a boom, but steady rise. As more properties come on the market in spring, this may ease some pricing pressure on some suburbs where supply is very tight. The Spring market will move, but not race ahead. We are likely to see more stories of properties selling over reserve during the Spring months but this will not be an everyday occurrence. Rich Harvey is founder and Managing Director of www.propertybuyer.com.au, Australia's most awarded Buyers' Advocates. Propertybuyer helps property investors and home buyers search and negotiate the right property at the right price, everytime. Visit www.propertybuyer.com.au or call 1300 655 615. NOTE: We have access a wide range of established properties and developer stock (both on and off market) from which we can hand pick the best opportunities. For developer stock, don’t forget that we can get all the sales commission rebated to you so you end up paying a wholesale price – call us today and ask us how. Interested? Please contact Jason Low (Manager Client Relations & Strategy) 1300 655 615 or 02 9975 3311 or email your enquiry to info@propertybuyer.com.au to be a part of this unique opportunity. To review the full details of these opportunities you will need to sign a simple confidentiality agreement which protects our interests in the property. If you purchase a property, a sourcing fee will apply. "...the right person for the job." I needed assistance in negotiating a purchase knowing how competitive the market is at present. I believed that expert assistance would increase my chance of success. My main concerns during my property search were the supply being unable to satisfy demand, pushing up prices beyond property values, marking my objectives unattainable. Fiona initially engaged us for the appraisal and negotiation of a townhouse in Crows Nest. The market was extremely competitive and a frustrated purchaser offered $150,000 more than our estimated value of the property. Hence, we advised Fiona to walk away. A couple of months later, Fiona found another property and we secured it quickly for a fair price, through our solid profesional relationship with the agent.